Join the conversation for the World Congress on Pharmacology and Chemistry of Natural Compounds (Natural Compounds 2018) #NaturalCompounds2018. #PulsusConferences #Plus91 #Pharmacology is the study of drugs, how they interact with other molecules in the body. This field is divided in to two parts: #Pharmacodynamics and #Pharmacokinetics, which means Pharmacokinetics is concerned with what your body does with a drug and pharmacodynamics is concerned with what #drug does to your body. Natural Compounds play crucial role in modern drug development. 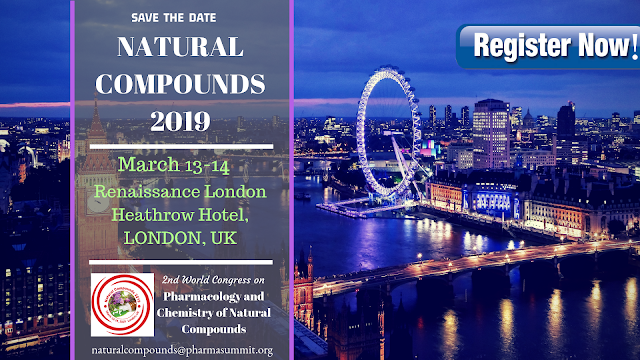 #Chemistry and #pharmacology of #Naturalcompounds presents cutting-edge research in the chemistry of #bioactive Natural Compounds and determines how natural product research continues to make #significant contributions in the #newdrugdiscovery and #development. 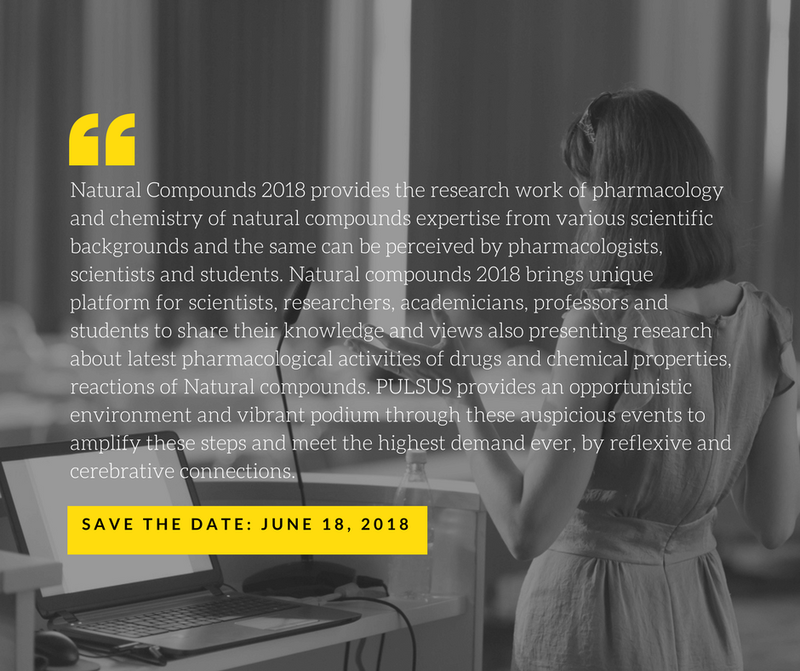 #Paris_Event #June 19-19.